Parachute Dance are a new UK-based arts company founded by choreographer and director Róisín O’Brien. Our first production Entrails was performed at the 2016 Edinburgh Fringe. The show confronts our fragility, our messiness and our transience and presents a dark and absurd look at our human bodies. Bodies that malfunction yet persist. Bodies that are denigrated and manipulated. Bodies that resist. 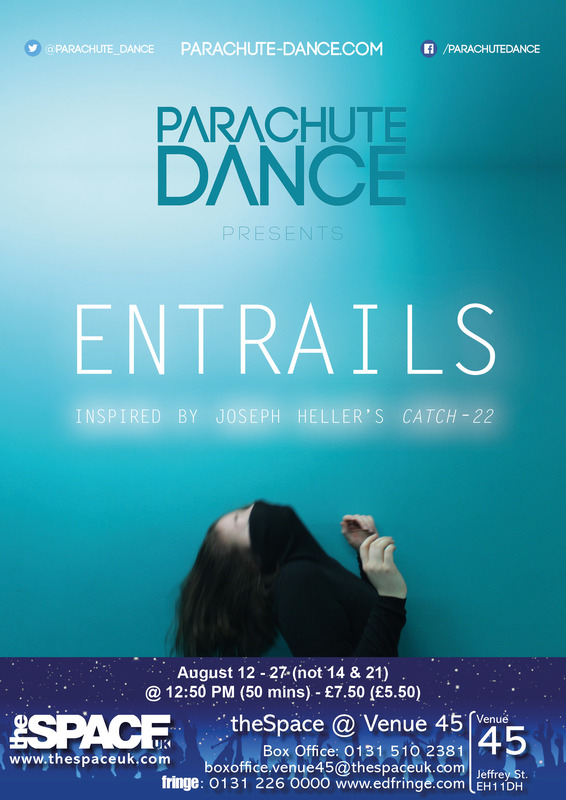 ‘Entrails’ will ran from August 12 – 27 2016, at theSpace @ Venue 45.